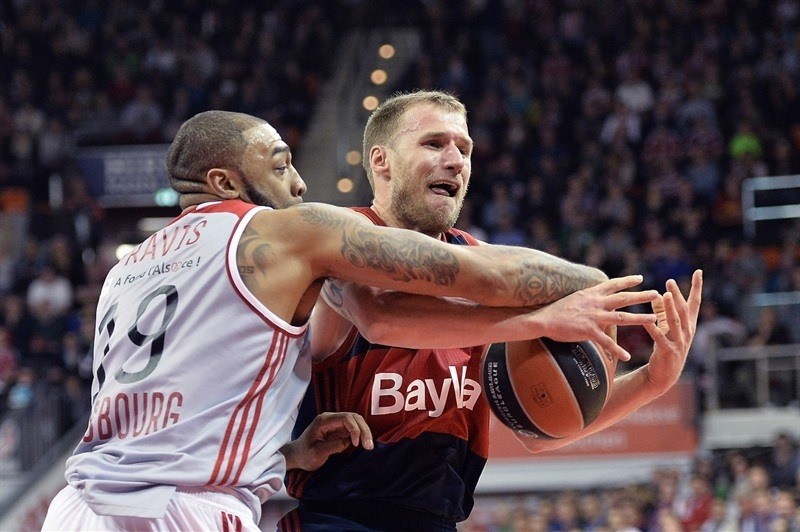 For the second week in a row, FC Bayern Munich used a solid defensive effort to protect its home court, defeating Strasbourg 76-61 on Friday at the Audi Dome. Bayern hit 11 three-point shots in 24 attempts to improve to 2-1 in a three-team share of the first place in Group A. Strasbourg dropped to 1-2. 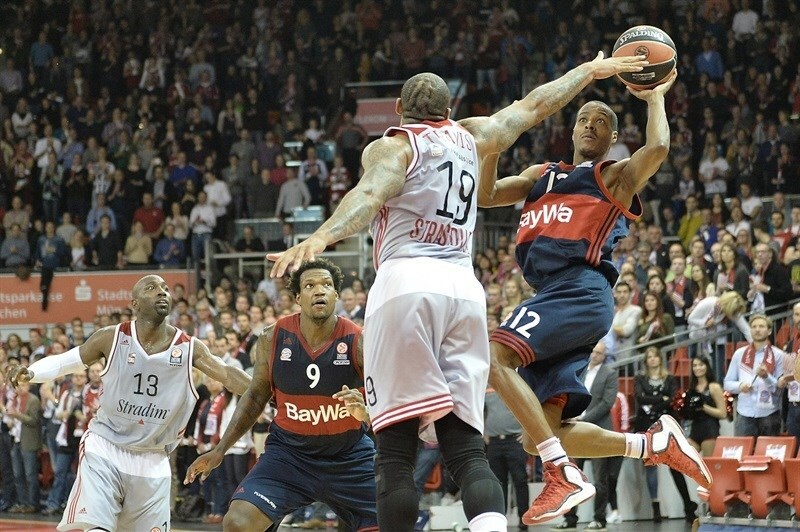 Bayern never trailed after the first quarter, but did not pull away to a double-digit lead until the third. 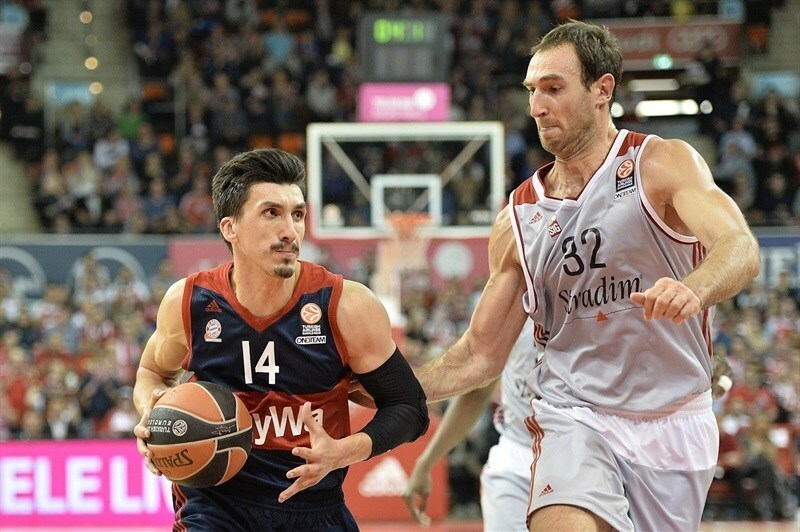 Each time Bayern made separation, however, Strasbourg came back, until Nihad Djedovic and Dusko Savanovic scored 8 of the points in a 10-0 fourth-quarter run that opened a 66-53 margin from which the hosts never looked back. Djedovic finished with 22 points while shooting 4-for-7 from long range and dishing 6 assists. Savanovic scored 18 points with 7 rebounds and 4 steals for the winners, while K.C. Rivers added 8. 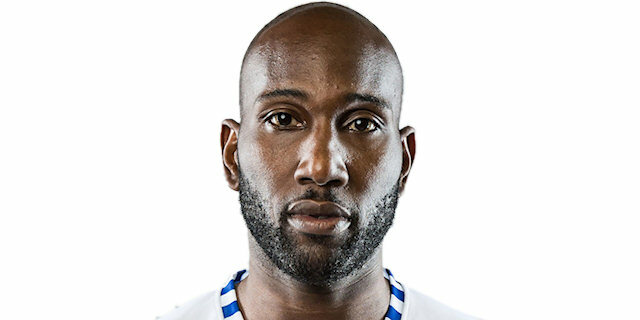 Vladimir Golubovic collected 22 points and 6 rebounds for Strasbourg, and Louis Campbell netted 11 in defeat. Jeremy Leloup made a steal and raced for a layup for the first basket of the game. After Djedovic drove through a crowd for a layup, Rodrigue Beaubois hit from long range to make it 2-5. Savanovic and Golubovic traded baskets inside before Alex Renfroe accelerated on a fastbreak and finished with a thundering dunk at 6-7. A triple from Djedovic gave Bayern its first lead, but Golubovic replied with a reverse layup to tie 9-9. 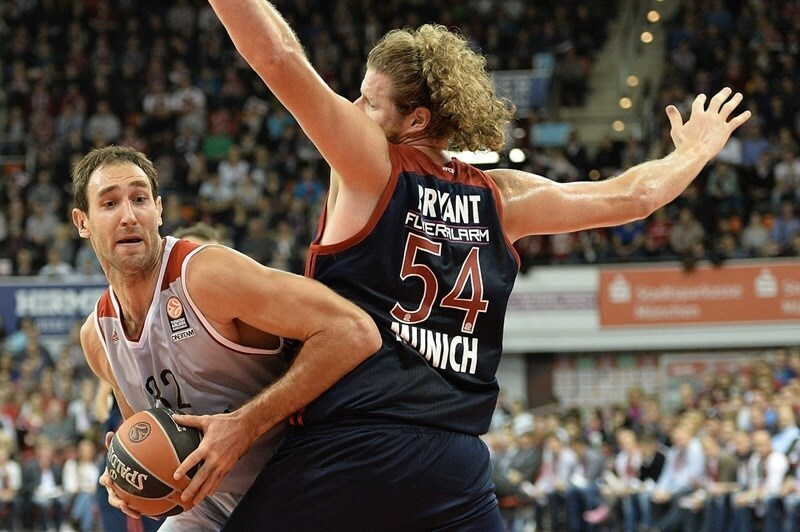 Djedovic picked Paul Lacomb's pocket and scored an easy basket to restore Bayern's lead. Lacomb and Paul Zipser traded three-pointers to end a scoreless stretch before Bryce Taylor hit a jumper for Bayern at 16-12. The hosts finished the quarter with a textbook fastbreak that started with a block by Taylor and finished with his assist for a Rivers, extending Bayern's lead to 18-12. 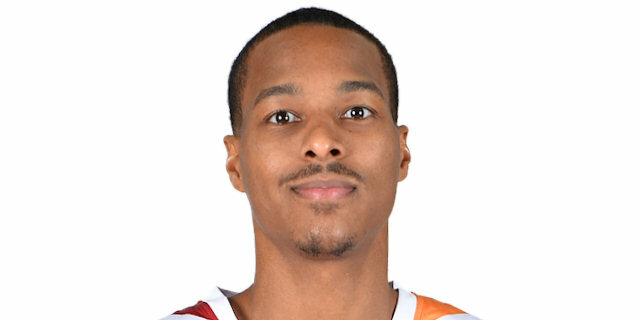 Campbell got a lucky roll on a three-pointer for Strasbourg, and after Deon Thompson answered with a long jumper for the hosts, Campbell fired another three-pointer, cutting the difference to 20-18. After a timeout, Savanovic made a runner, and John Bryant followed it with a three that stretched Bayern's lead to 25-18. Djedovic and Campbell traded easy layups, and Golubovic scored from close range at 27-22. 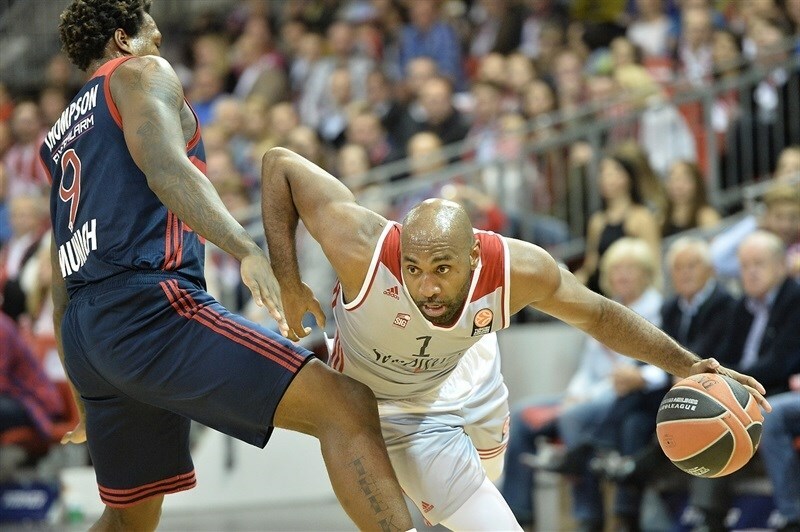 After a timeout, Golubovic added another basket inside to cut the deficit further points as the visitors held Bayern without a field goal for more than 4 minutes. During that span Bryant and Renfroe split free throws, but Leloup’s three-pointer and a fastbreak layup from Mardy Collins tied the score at 29-29. The hosts needed a pair of free throws from Djedovic to take a 31-29 halftime lead. Bayern started the second half strong. Djedovic found Savanovic with an over-the-head, no-look pass. After Bryant’s three-point play, Djedovic nailed a triple to cap an 8-0 run of less than 90 seconds with Bayern in control, 39-29. After a timeout, Kyle Weems hit a triple for Strasbourg, but Djedovic answered from downtown himself. Golubovic scored down low, and Collins added an easy breakaway layup for the visitors. Savanovic replied with a mid-range jumper, but a put-back and a layup from Golubovic got Strasbourg within 44-40. 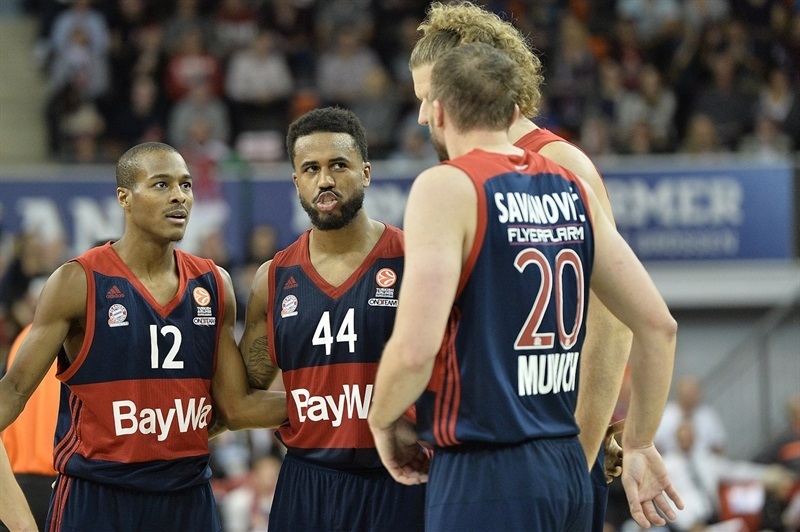 After a Bayern timeout, Campbell buried a corner three to make it a one-point game, but Savanovic hit from very long range, ending Bayern’s spell of almost 3 minutes without a basket at 47-43. Rivers followed, punishing a Strasbourg turnover with a triple before Thompson extended it to 52-43 from the foul line. 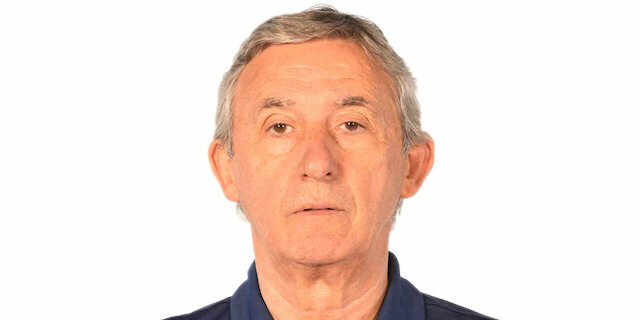 Now, the visitors were without a basket for almost 4 minutes before Golubovic made 4 of 4 free throws, but Djedovic got a layup in the final seconds, making it 54-47 at the end of the third quarter. 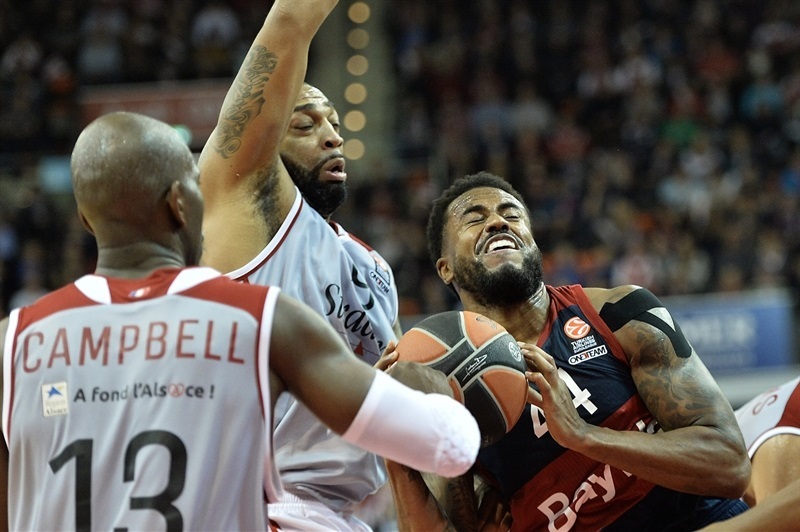 Anton Gavel opened the fourth quarter with free throws for Bayern, but Weems had a layup-plus-foul, and Leloup buried a corner three-pointer to keep Strasbourg close at 56-53. Thompson stepped up then with a mid-range jumper, and Savanovic followed with a three-pointer as the hosts regained breathing room. 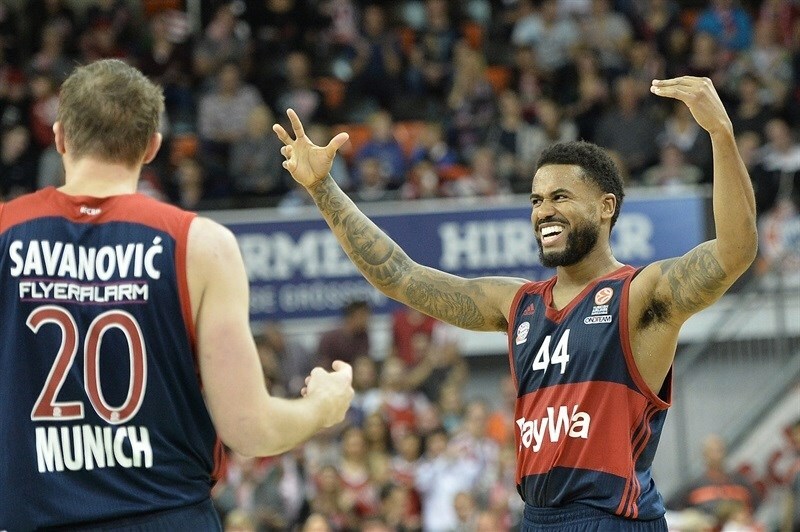 Djedovic buried another three, and Savanovic added a baseline jumper that had Bayern in charge again 66-53 with 5 minutes to go. Golubovic snapped Bayern's 10-0 run with 2 free throws, then added a big two-handed slam to the tally. But Taylor countered with a triple and a fastbreak layup that made it 71-57. Bayern's lead reached 16 points with 100 seconds to go. 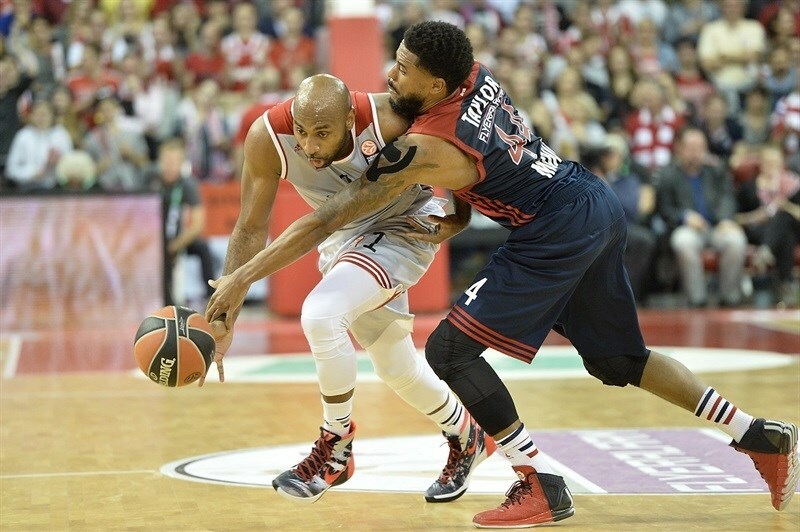 Romeo Travis scored a pair of baskets for Strasbourg, but Rivers ended the game with a triple for a 15-point margin at the end. "I think we played one of the best games of the season against a team who wanted to win the game: this may be hard to feel from the outside. But we showed great character. We found the power to control ourselves and make good decisions on defense and offense. We controlled the game and we took out the best French player. They didn’t play the way they had the last couple of weeks, including the win against Fenerbahce." "I am very disappointed. Despite the spread at the end of the game, it was closer. Especially in the first half, we missed a real opportunity. We turned over the ball too often. We didn’t play as well as we could have. We could have done much better, which would have made it closer. In the second half, two, three turnovers in row allowed them to pull away. 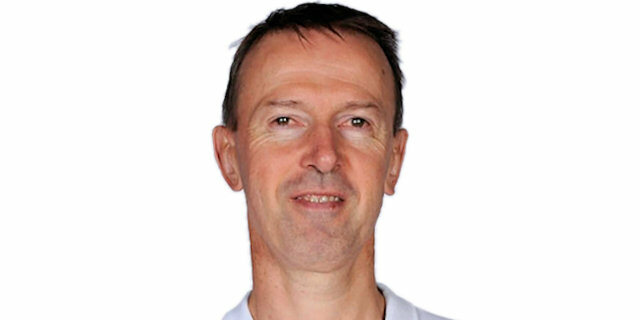 I am very disappointed that we didn’t learn from the first game in Belgrade." 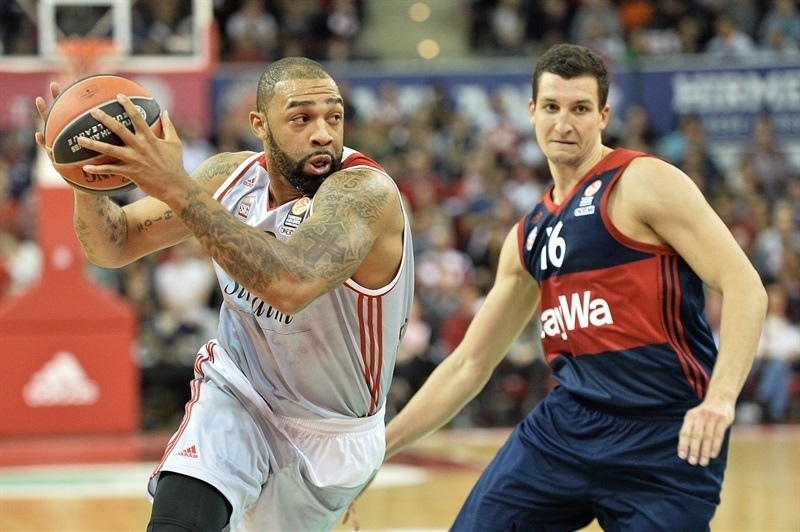 "Anytime you can get a win it’s always important in the Euroleague, especially at home. We know if we can defend our home court, we’ll be in a good position. We’re happy. Fortunately we came out with the win. I think we played pretty solid. We still have a lot of improvement to do, but I’m glad we were able to get the victory at home in front of our great fans. It’s a great win for us." "We just turned the ball over too much. The intensity once again got to us. You saw what happened in the third quarter - too much intensity and lack of focus. That pretty much made the spread. We came back but it was too late. We just have to go forward. We know that we have the talent to beat good teams. It’s just the mental focus has to be there and the toughness, too. That’s something that we have to continue to work on."